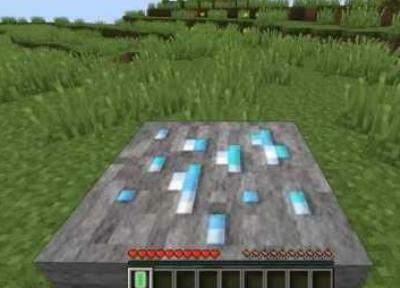 The Diamond Meter Mod for Minecraft is a mod that aids the player in the time consuming task of finding diamonds. Instead of wasting time - hours, perhaps - searching for this difficult to find ore while a mob of Endermen and creepers have blown up your home and robbed you of any valuables, this mod takes the hour(s) long task and shrinks it down to minutes. After this mod is positioned into the player’s quick bar, the diamond meter lets the user know if a diamond is near or not. This mod lets the user know their distance from a diamond by changing colors. Crafting this diamond meter will cost the player, though – eleven diamonds, a diamond block, and one redstone torch.